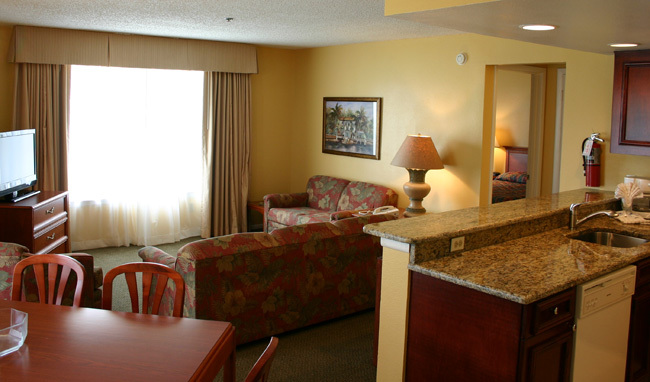 Our Two-Bedroom Deluxe suite accommodates a maximum of 6 people and it's perfect for a larger family without given up your privacy. 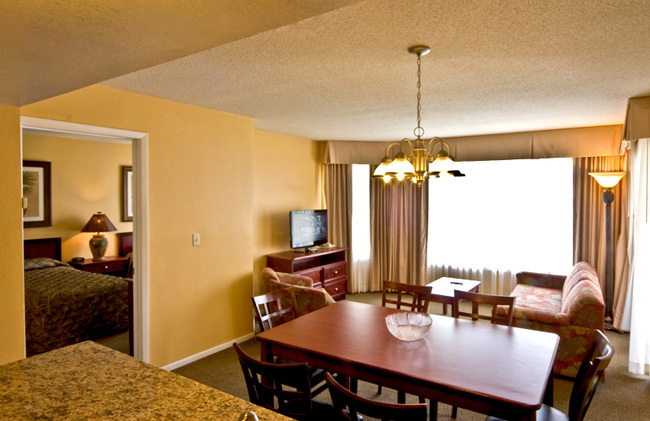 Our suites feature a king-size bed in the master bedroom and a full bathroom. 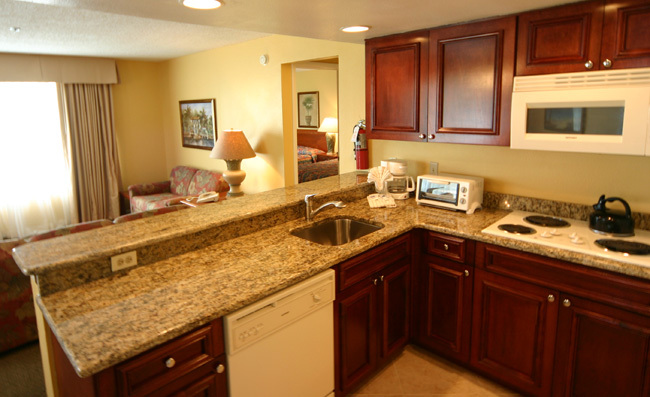 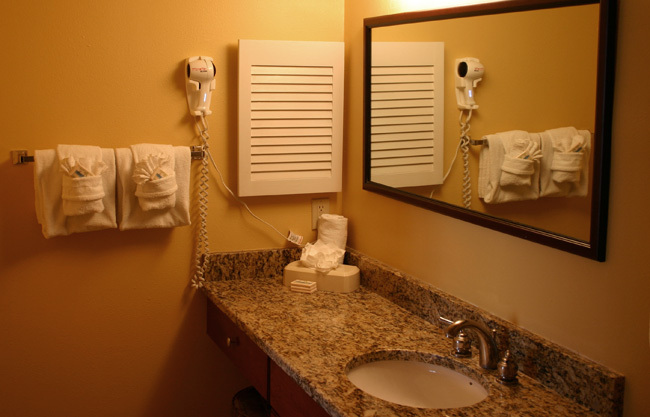 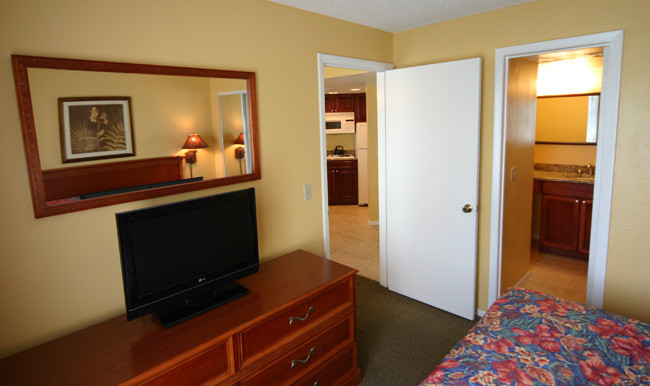 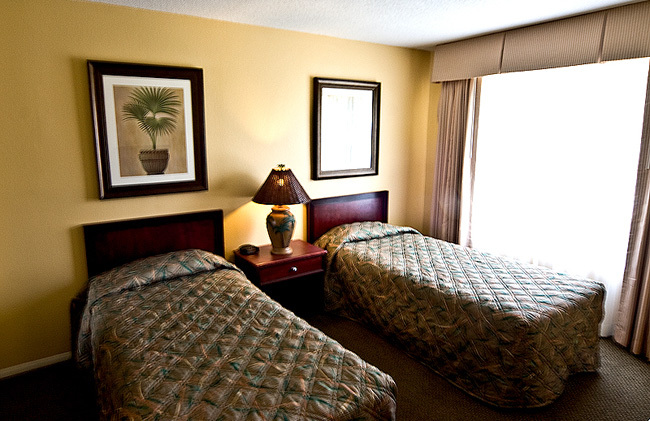 Two (2) twin beds in the second room, fully equipped kitchens include all appliances. 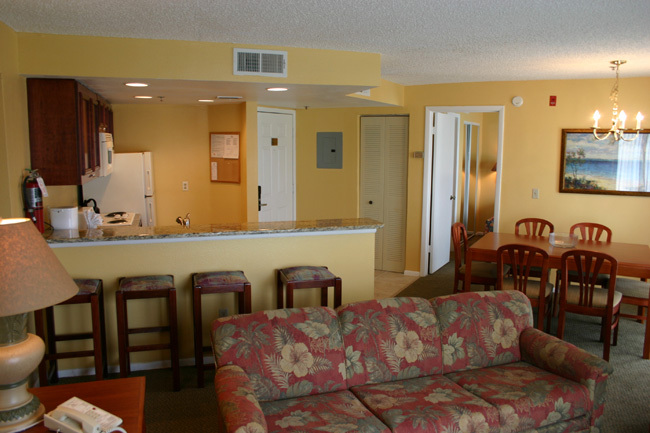 The living and dining room feature designer furniture and rich décor with a queen sized sofa sleeper and the patio door opens to a private balcony.